Ice cream was a luxury for many in the late 1700s and early 1800s. It was made in small quantities by “confectioners” and sold in their shops. It also was offered by street vendors. 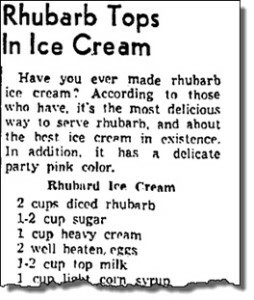 Newspapers of the day carried many reports of poisoning by ice cream due to contaminated ingredients, unclean serving utensils, and unsanitary storage practices. Jacob Fussell was one of the first Americans to mass produce the frosty treat, starting in the mid-1800s. By 1928, U.S. ice cream consumption was estimated to be 2.9 gallons per person per year. During World War II, this “morale food” was rationed at home in order to provide more for the troops.